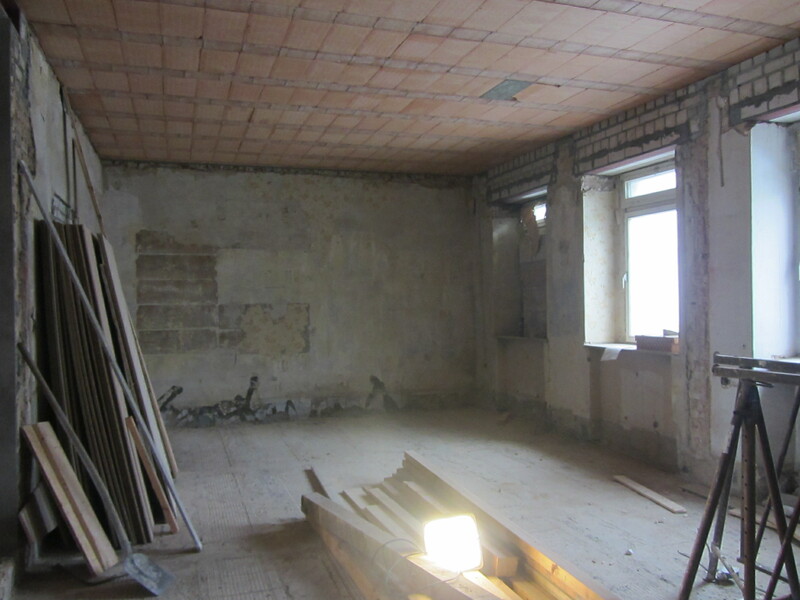 Our new “ar-qi-tektur” office and new teaching room for ECOFS (European College of Feng Shui) in Berlin is under construction. Below you can see a couple of pictures of the teaching area being renovated (one looking east and the other looking west). 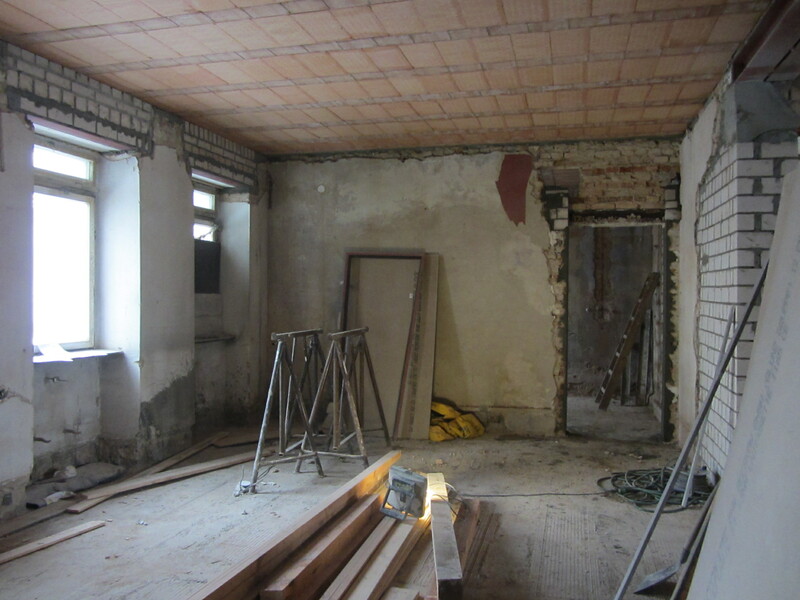 Our schedule is to get the building work done by the end of the summer (August) so we can start teaching again in September in our new premise at Weißenseer-Spitze, Berlin. Flying Star-wise, the office/school has a “Timely Mountain and Timely Water” chart, with the main entrance having a 1,4 combination for literary success. 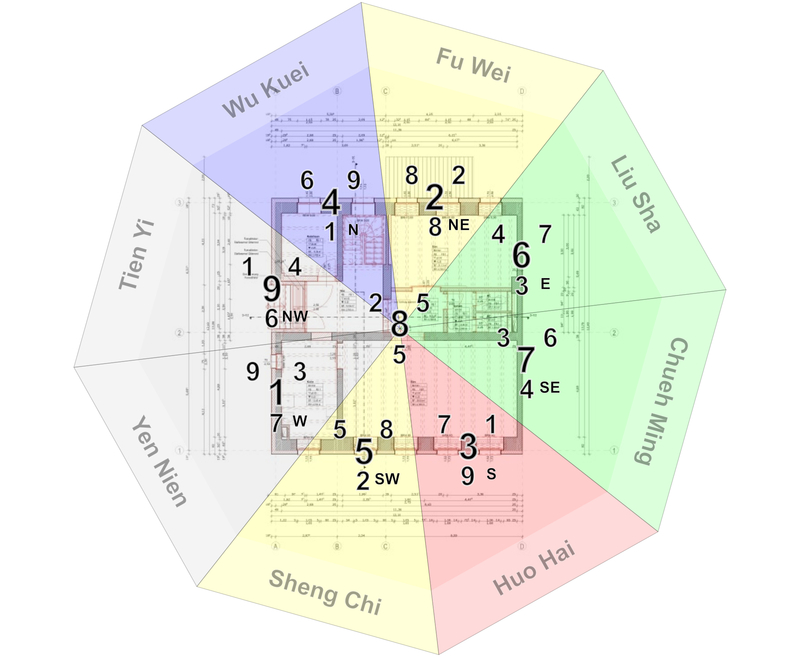 Two palaces with 8,2 and 4,7 combinations are influencing the architectural office part of the building, which means there is a water star 2,7 Early Heaven Fire combination when viewed from the influence of adjoining palaces in terms of wealth and activities. So this area should have Gua Qi support for passionate creativity, a very good potential for architectural work. The ECOFS part is located in the timely water star 8 area with an adjoining influence of 1 Coming Sheng Qi star. The timely 8 Earth will be able to control the 1 Water and what the host can control is its wealth, so the school should have Gua Qi support for wealth and it also means the college needs a good structure and organisation to control its activities. The kitchen/coffee break area has a 9,3 combination, which means the Gua Qi is also suitable for cooking, eating and communication. The toilet is located in a Metal/Wood conflict area and that is acceptable too. We tried to make our new office and college not only functionally efficient but ritually correct as well. We hope everyone who walks through our front door will come out with literary success! It would be good to have a ‘search’ widget here. I came to see what you said concerning Tsai Sueyling, but I could not find it.